This year marks 198 years of Greek independence from Ottoman occupation. Though it has been almost two centuries since the War of Independence, Greeks around the world continue to turn out with as much fervour to honour those who gave their lives in the fight for the freedoms Greeks enjoy today, and to celebrate that victory. Celebrations in Victoria are starting early this week, with a special Greek Day being hosted in Oakleigh on Saturday 23 March. Organised by the Oakleigh Village Traders Association (OVTA) together with the City of Monash, the Chester Street Parking lot is set to come alive with music and dancing from 4.00 pm right through to 10.00 at night. 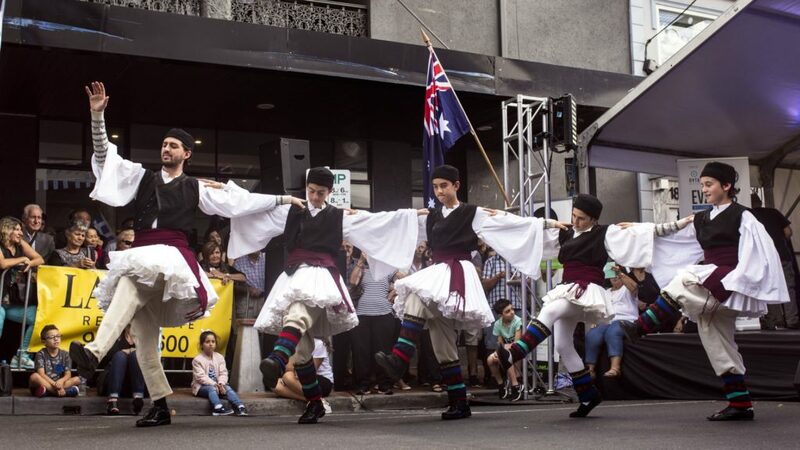 “All the traders have come together and are getting ready to celebrate Greek Independence Day with music and traditional dances from all the regions of Greece, and we invite the Greek community to come to Oakleigh to celebrate with us,” OVTA president Anna Sfrantzis told Neos Kosmos. Performing on the day will be Mikri Kompania, K Studios, and Anagennisi Live Band, along with impressive dance performances by the Pan Macedonian Association of Melbourne and Victoria Dance Group, Akrites Tou Pontou, Pancretan Association of Melbourne Dance Group and Manasis School of Dance. The annual Greek Independence Day parade is set to take place on Sunday 24 March. Commencing at 12.30 pm at the Shrine of Remembrance in the CBD, students from Greek and Cypriot schools across the state, as well as organisations, will take part in the parade. A number of official guests will be in attendance, including Bishop of Dervis Ezekiel; Bishop of Militoupoleοs Iakovos; Hellenic Parliament Deputy Vice President Georgios Varemenos; and Consul General of Greece in Melbourne Dimitrios Michalopoulos. Victorian Premier Daniel Andrews and State Opposition leader Michael O’Brien are also on the list of officials taking part, along with Greek Australian MPs Maria Vamvakinou, Jenny Mikakos, and Steve Dimopoulos. Greek Community of Melbourne and Victoria President Bill Papastergiadis will of course be present together with Association of Greek Orthodox Communities and Parishes of Victoria President Kostas Kontis, and Victorian Multicultural Commission Deputy Chairperson Ross Alatsas. READ MORE: Greek National Independence Day means so much to Hellenes, but what does it mean to the younger generations of Greeks in Australia? Organised by Antonis Tsourdalakis, Secretary General of the Organisational Committee for Greek National Day, this year’s parade is being dedicated to the genocide of Pontian Hellenes. This year marks 100 years since the over 353,000 Greeks from Pontus were slaughtered by the Ottomans. “On 19 May 1919, Mustafa Kemal descends to Samsun, Pontus, of the Black Sea to begin the second and wildest phase of the Pontian Genocide … The emergence of nationalism with the rise of the Neo-Turks in the power of the Ottoman state, together with the racist movement of Mustafa Kemal, led to the Genocide, resulting in the murder of over hundreds of thousands of Greeks who lived in Ionia, Pontus, Thrace and Cappadocia. The final act of the Genocide are the 1,300,000 Greeks who were uprooted from their homes, displaced and became become refugees,” reads an official statement from the Greek National Day committee. On the actual anniversary, which falls on Monday 25 March, commemorations continue with a doxology at St Eustathios Greek Orthodox Church in South Melbourne at 9.30 am. A gathering will then take place at the Australian Hellenic Memorial at Domain Gardens at 12 noon, followed by a wreath laying ceremony at the Shrine of Remembrance at 1.00 pm sharp. Celebrations will culminate at the Hellenic RSL Sub Branch Memorial Hall in South Melbourne, where a light lunch will be shared with attendees.